WASHINGTON — The U.S. Commerce Department on March 26 sent a report to the White House declaring sufficient access to radio frequency spectrum critical for a healthy domestic space industry, but avoided weighing in on contested spectrum issues within the space and telecommunications industries. The report, “Driving Space Commerce Through Effective Spectrum Policy,” included 13 recommendations on topics ranging from signal interference to deep space communications meant to improve U.S. competitiveness. President Donald Trump requested the report in Space Policy Directive-2, which the White House released last May. The Commerce Department said it worked with the White House Office of Science and Technology Policy, the National Space Council and other federal entities to create the report. Companies, agencies and others use spectrum to communicate with satellites around the Earth and in deep space. For the satellite communications industry, spectrum is also critical for transmitting television channels, internet connectivity and more to customers. The report recommended streamlining licensing procedures for satellite systems and for authorizing foreign navigation satellite systems, such as Europe’s Galileo, for use in the United States. As the Commerce Department’s National Telecommunications and Information Administration prepares a national spectrum strategy, it will need regular input from space and non-space users, the report said. The report didn’t dive into the ongoing battle between telecom satellite operators and cellular network operators over spectrum, nor did it comment on the Federal Communications Commission’s decision to auction spectrum for 5G networks despite objections raised by NASA and NOAA over potential interference with weather satellites. The report did recommend improving spectrum access for launches — a process the Federal Aviation Administration moved forward on the same day with the release of a proposed rule that would “remove the current requirements to implement a frequency management plan,” for launches, among other changes. The report also recommends the study of highly secure quantum satellite communications. In the United States and abroad, spectrum policy shifts are underway that will have significant impacts on the satellite industry. Domestically, the FCC is preparing to allow next-generation 5G signals in a swath of satellite spectrum known as C-band, though the agency hasn’t decided how much spectrum or by what process the 5G signals will be allowed. FCC leadership said last week that the agency is more focused on choosing the right approach than rushing a decision. Internationally, the 2019 World Radiocommunication Conference (WRC-19) takes place this October and November, where regulators from around the world will debate how to allocate spectrum on regional and global levels. The Commerce Department report mentioned both the FCC’s C-band proceeding and the WRC-19 conference, but did not advocate for the satellite industry-led C-band plan, nor did it address FCC Commissioner Michael O’Rielly’s reservations about international opposition to U.S. policy goals at WRC-19. 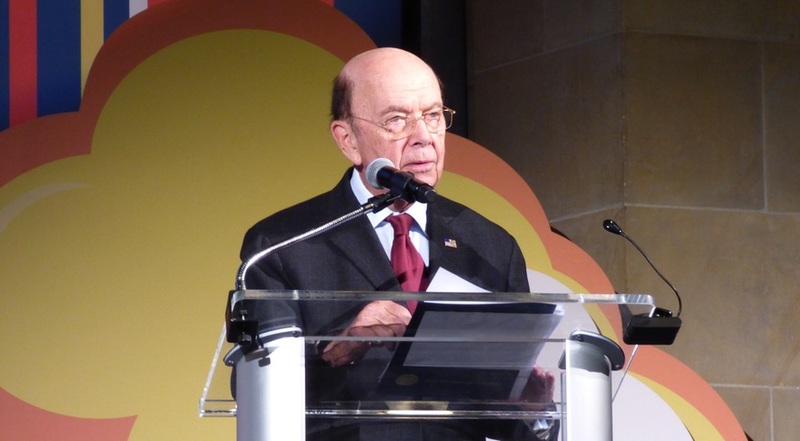 The Commerce Department instead emphasized support for harmonization — prioritizing spectrum for the same application in multiple areas — on a global level for space activities. The Commerce Department said the report “must be viewed as an initial effort,” to catalyze more research, culminating in decision making. Even as an early effort, the report found solid support from the Satellite Industry Association, a Washington-based trade group that counts many of the world’s largest satellite operators among its members. In a statement released March 26, Tom Stroup, president of the Satellite Industry Association, said the group “strongly applauds” the report authors.